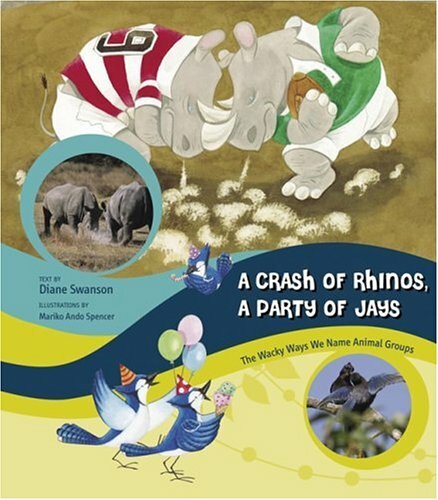 A madcap menagerie of animal group names. They say that birds of a feather flock together. But who knew that bears in a group are called a sleuth? Eagle-eyed author Diane Swanson knew. In a book that's both funny and fascinating, Swanson explores 11 animals and the collective nouns that describe them. Each playful profile reveals a term's origins and describes the behavior and characteristics of the animal. Meanwhile, delightful illustrations capture the literal connection to each intriguing name. 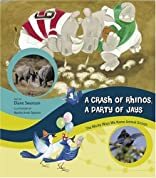 A Crash of Rhinos, A Party of Jays is sure to intrigue young animal enthusiasts and budding language lovers alike.